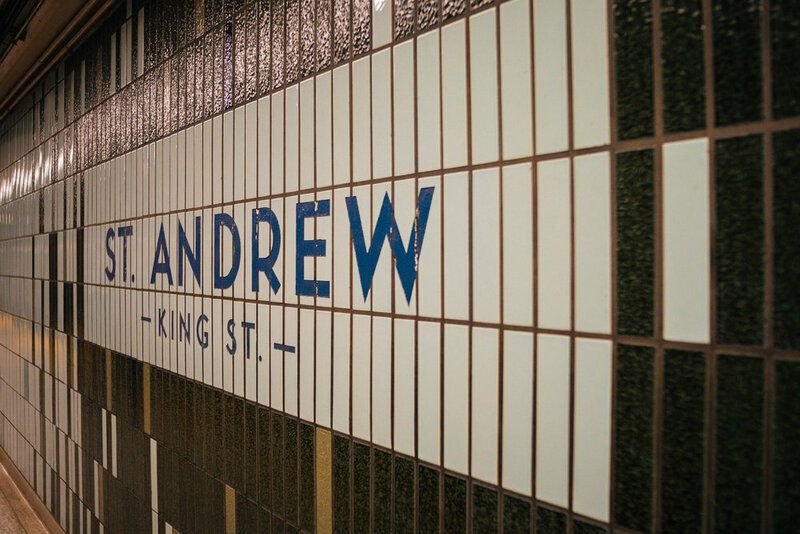 St. Andrew Station initiates our entrance into the West end of the downtown loop. 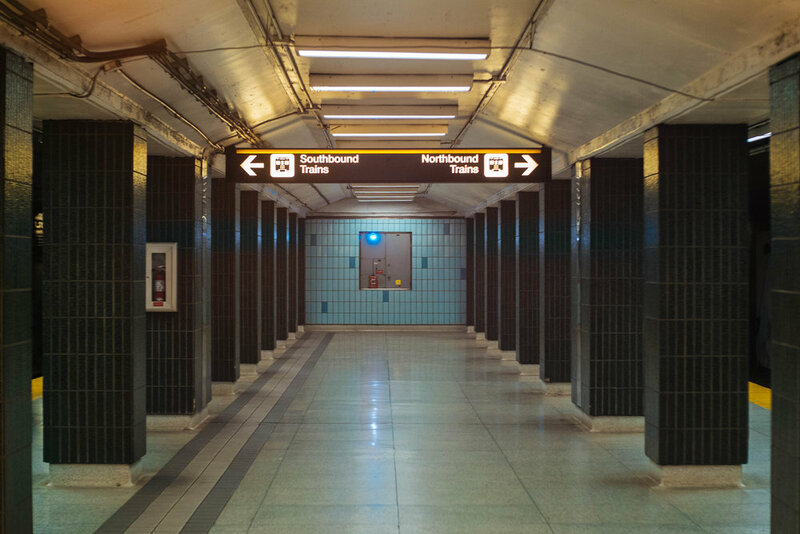 For me, this station represents my early days of visiting Toronto from Mississauga to see films at the TIFF Bell Lightbox. It's also where I shot part of my short film No Connection. I very clearly recall telling everyone we were shooting with to "be very subtle" once we went into the station and began filming. As soon as we were at track level, the announcement "Please report any suspicious activity that you see in the station" seemed to play over and over again. Luckily it was just a coincidence, and we escaped the station with all of the footage that we needed. 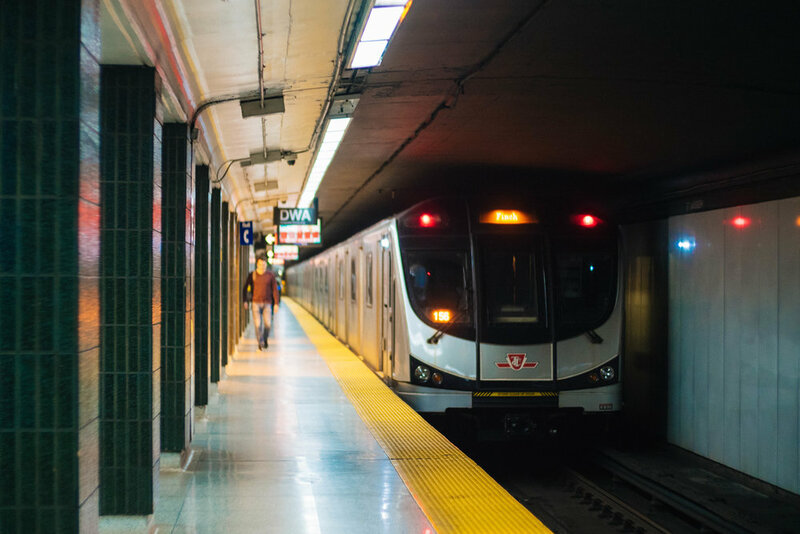 The next station is Osgoode.